As Paul penned his letter to the believers in Colossae, all was not well in the Colossian church. 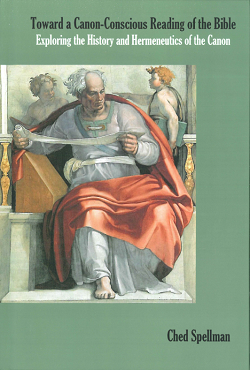 A mix of Jewish and Greek false teachers had crept in and were challenging the true gospel. They were filling the Colossian Christians’ heads with fear of the “unseen” powers and authorities. They were telling them that they had to be physically circumcised in order to attain salvation. They were telling them that they must do certain practices and observe certain festivals in order to be saved. Paul warns the Colossians in 2:8 to “Watch out” from those who would take them captive by their philosophies of men and empty deception. The content of the letter to the Colossian Christians is Paul’s answer to this problem that was upsetting the Church at Colossae. Although there is considerable debate as to the extent and content of the “philosophy and empty deception” of this false teaching, it is clear from Paul’s writing that there was definitely a specific line of heresy that was tempting the Colossian believers to compromise their newly formed faith. The possible sources of this heresy are varied and include incipient Gnosticism, extreme mysticism, and errors that stemmed from Judaism and Hellenistic paganism. However, it is probably best to view this heresy as a combination of elements from all these potential sources. Because of the variegated nature of the Colossian heresy, Paul could not only address one of the elements of the problem. He had to address them all at once, and he had to do it in one letter. Paul’s answer to this heretical problem is the proclamation of the supremacy of Christ. In doing so, he simultaneously refutes every heretical tendency that might be facing the Colossian believers. Throughout this letter, the antidote for this diseased teaching is the supremacy of Jesus Christ. Contrasting the emptiness of the false teachers, in Christ all the fullness of Deity dwells in bodily form. Contrasting the domain of darkness, Christ purchases the inheritance of the saints in the kingdom of light. Contrasting the mysterious “invisible” powers of the false teachers, Christ is the image of the invisible God. Again and again, Paul exalts Christ over and against any other power in the universe. In fact, he assures us that even those powers and authorities were created and controlled by Christ himself! In Colossians, Christ is supreme over all things, including Paul asserts, the spiritual rulers and powers that were given such weight by the false teachers. This is the overarching theme of Colossians that supplies the power behind Paul’s admonitions and exhortations. In studying the book of Colossians, Paul answers heresy and defends the Christian faith. Something that should be noted is the similarity between what Paul is doing in 60 A.D. and what we should be doing. Paul was facing a culture where many different ideas, coming from many different places were assaulting the truths of Christianity and attempting to deceive the church. There was not just one idea or heresy, there were many. Not much has changed in 1900 years. We live in a pluralistic, postmodern world. Today, our world would have us view everything as relative, including our theology. Just as in Colossae, there are many strands of heresy that compete for the minds and souls of believers. The message being proclaimed in the secular world, and sadly in many mainstream churches and denominations, is tolerance. All ideas have equal weight and truth, they say. However, much of the content of these beliefs are contrary to the gospel. From the Davinci Code, to the Gospel of Judas, to modern day false teachers, many in our world are enemies of the cross. 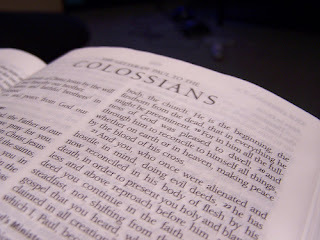 Here is where Colossians helps us. There are so many ideas and worldviews today in direct conflict with the truths of Christianity that to try and refute just one would not work. All must be refuted. None can be missed. The church cannot tolerate heresy on any front. This is a daunting task, but the Holy Spirit through Paul has given us the only adequate answer. The answer is the proclamation of the supremacy of Christ. The continual and unapologetic proclamation of the gospel of Christ refutes every heresy, stops every mouth, bends every knee, and humbles every attempt to thwart the purposes of the kingdom. If we as a church could truly grasp how profound Paul’s method of refuting heresy is, we would have an answer and defense against even the harshest attacks on Christianity. How can the church survive without clinging to this method?